For us pigmented girls it pays to experiment with colour- bold colours look amazing on darker skin and its a simple way to make a statement! Here are some examples of other girls of colour successfully adorning colour! 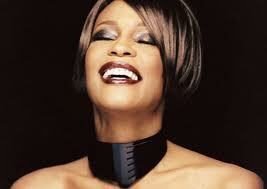 The tone at this year’s Grammys was no doubt deeply affected by Whitney Houston’s shocking death just the day before. However, many of the artists as well as the host, LL Cool J – encouraged that instead of just mourn, we celebrate her life and work through music. Through a moving tribute by Jennifer Hudson and various shout-outs for Whitney, her life and death were handled respectfully last night. Adele cleaned up the awards, category after category - restoring some faith in the music industry, and she wins once again for BEST DRESSED! The styling was impeccable, the hair, the make up and the Armani dress made me so happy - success all around! Rihanna made a grand entrance with this custom-made Armani gown. Looking clearly comfortable, confident and gorgeous and the hair adds the punk-pop factor to complete this head-turning perfection! What was she thinking! Katy Perry normally has a costumey aesthetic which we love to see on the red carpet, but this more `demure` look really didn`t work for her. The fit is horrible, especially as she is top heavy. 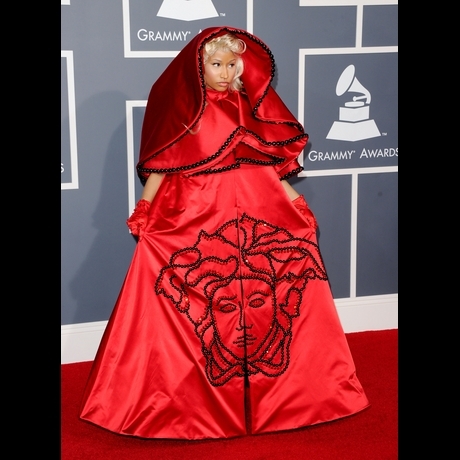 She wins the title of Worst Dressed. WTF. Try-hard, shock value gone wrong...need I say more. Carrie Underwood almost got it right with this one - but not quite. I think had it been a different colour or shade and her hair wasn't such a french braid from prairie-town, this could have worked. Now see, Taylor Swift just missed the mark with this one. I see that she is trying to re-invent her look, as a more mature, serious artist but this look is TOO old for her. She should have gone for a more flowy, romantic feel with her hair in waves and soft bangs. 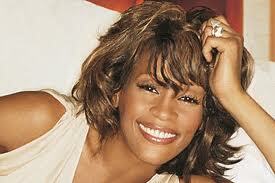 Whitney Houston, at the age of 48, was found dead yesterday at the Beverley Hilton Hotel. 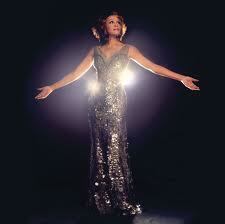 We have certainly lost one of the greatest voices of our time, a pure talent who died far too young. The coroners have yet to determine the true cause of death. But unfortunately considering her public battle with drugs for the last decade or so, many of us are not incredibly shocked as we read this headline today. That is the real tragedy. The most recent news development is that she had a multitude of prescription bottles, including Xanax and she was also drinking the night before. Mixing prescription pills and alcohol could have been the cause of her untimely death. If cocaine was the drug of the 80's, then prescription pills are the cocaine of today. We have lost too many, too young because of what many consider to be an epidemic of prescription pill abuse. Just because they come in a nicely labelled bottle does not make them any less dangerous. Michael Jackson, Amy Winehouse, Heath Ledger, the list goes on. According to this article done by ABC news, about 40 Americans die every day from prescription drug overdose. That is absolutely unacceptable. When will we learn. Coloured denim is a trend that has been circulating in trendsetting closets for a couple of years now and this trend is not going anywhere: It is officially a closet staple for 2012! Now you might react one of two ways to this news; run for the hills, I’ll never wear coloured jeans! OR I’d like to try it, but HOW?! Well hopefully this article will alleviate some of that colour anxiety – here are some helpful tips on how to easily incorporate coloured denim in your jean rotation to instantly update and brighten up your wardrobe! For a night out: wear with black or white blazer, or neutral/black silk blouse – high heeled black pumps, add a cute clutch, some studs and coloured lips and you are ready for a night out! Here are some examples: Good luck!